Sharm El-Sheikh International Airport received on Monday the first flight coming from the Kazakh city of Taraz with 221 Russian tourists on board. Head of the Egyptian Airports Company Tarek Fawzi said a team from the airport's public relations department received the tourists and gave them souvenirs. The Russian tourists, meanwhile, praised the warm reception at the airport. 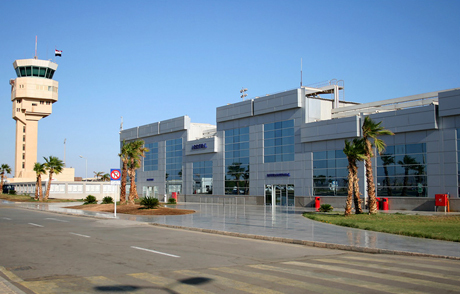 Sharm El -Sheikh International Airport is scheduled to receive a weekly flight from Taraz.